If you've ever had lots of data to examine via a scatterplot, you may find it difficult due to overlapping points. 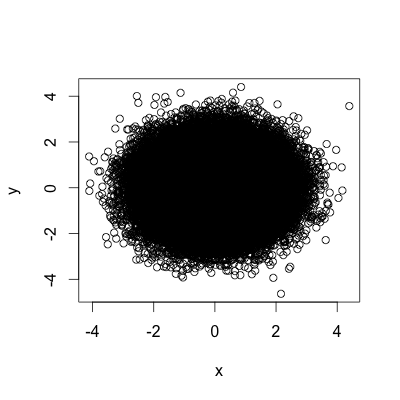 For example, let's examine the following attempt to look at some (x,y) data. Here's a much better solution. 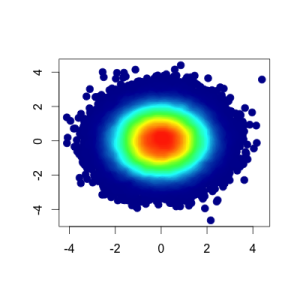 We will now color the points by their density. Now it's easy to see the pattern in the data. There are LOTS of points in the red area, and less and less points as we move out.